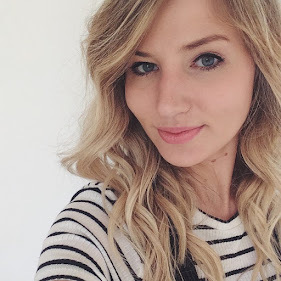 Gosh, I am so sorry for going a bit AWOL on my blog. Life has been busy recently and I seem to have lost my blogging motivation. But I'm back today, and sharing a couple of new perfumes which I have been loving this summer. 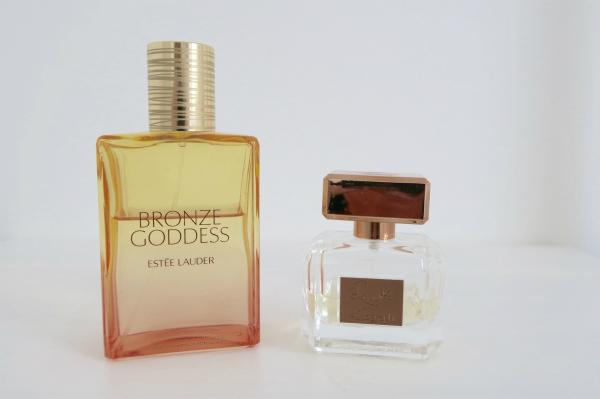 The first is Bronze Goddess by Estee Lauder, a limited edition perfume which comes out every summer. I have had my eye on it for a while and decided to buy it at the airport before we went to Florida in April. I love it when a perfume reminds you of a holiday or a moment in time, and so wanted this to be my holiday scent. It smells divine - described as a sun-drenched blend of Bergamot, warm Amber and Vanilla combined with creamy Coconut it is a scent which is so completely 'summer' in a bottle. It smells like sun cream, holidays, sunshine and happiness. I am quite obsessed. The second perfume I am rather enjoying is from the Rosie for Autograph beauty range in Marks & Spencer. It is called Summer Rose Eau de Parfum and is a light, airy but fruity scent. It smells very rose-like to me but isn't overpowering at all. It's also really handy in this size as easy to take with you on travels. What perfumes have you been loving this summer?